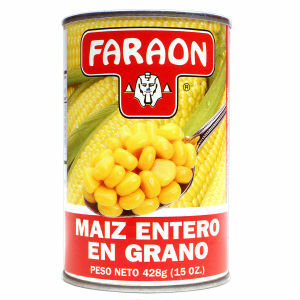 Yellow, sweet, tender, delicious, nutritious, whole kernel corn from Faraon. Serve in salads or as an added side dish to a main course. Faraon is always ready to help you get your best home made meals come through. Enjoy!